CloudDemon v1.3.15 - Socket Based! Looking to watch your tracks explode with plays or even start your own business selling plays? Maybe even both? No problem! Today you can do just that for only $17! 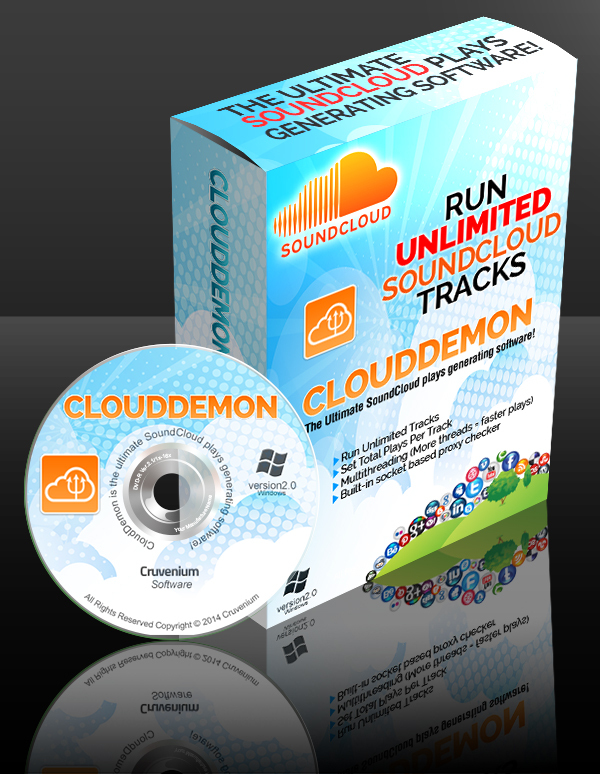 CloudDemon is a simple software with one purpose. Plays, plays and more plays! Start your endless flow of plays in seconds! The bot will function perfectly normal without proxies but this will mean that hits are only coming from your 1 IP. 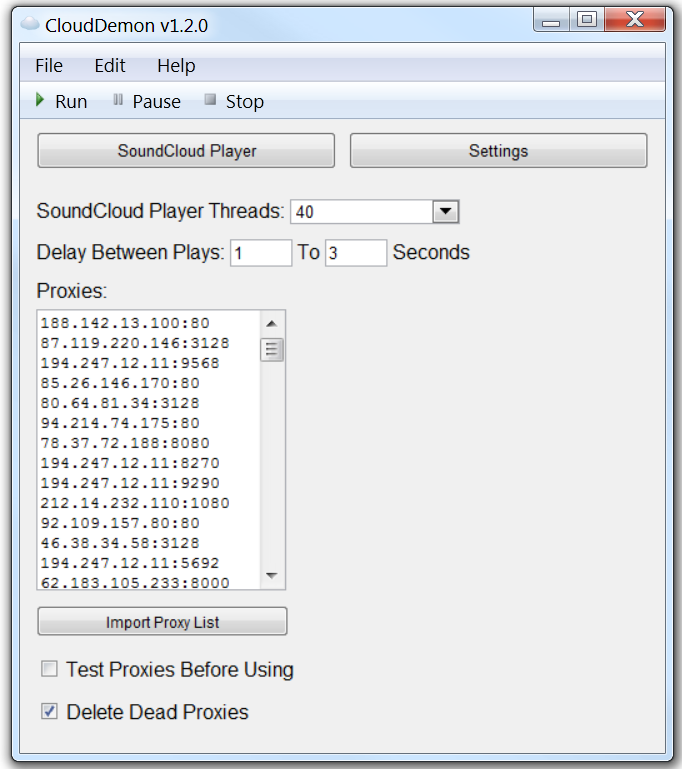 It is highly recommended to use proxies as without them the play count will very likely stop increasing after only a few if all coming from the same IP to the same track. Yes - No questions asked refunds are available for up to 7 days after your license key has been delivered. 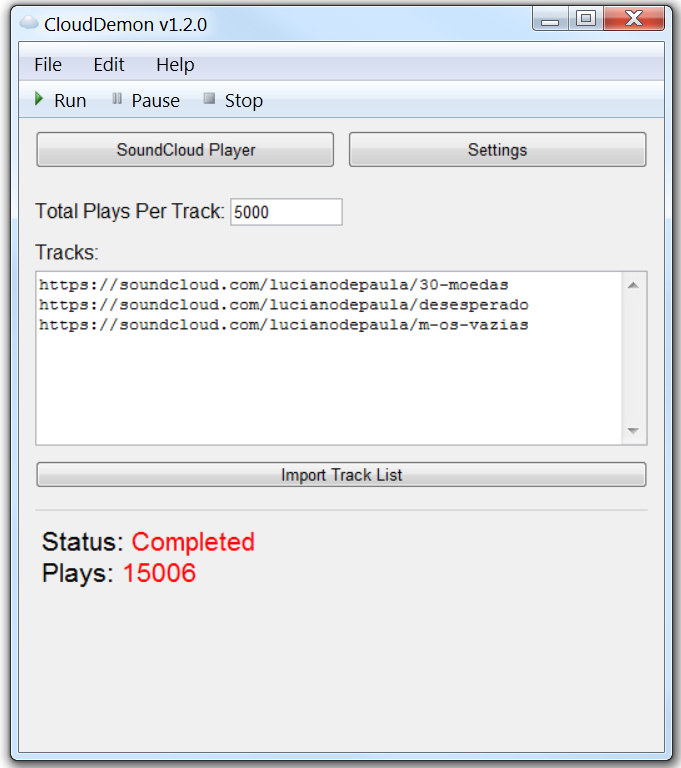 CloudDemon - The Ultimate SoundCloud Bot is ranked 5 out of 5. Based on 183 user reviews.